If you follow me on my social channels, then y'all know I kind of live in Nordstrom. They are one of the few stores in my area that has in-store plus sizes and there is literally always something fabulous to buy. My favorite sections are the plus, of course, the jewelry, and the make-up. I've started my shopping for holiday looks and I was so excited to come across this Adrianna Pappell dress via Nordstrom. I purchased it without hesitation. I've been waiting sooooo long to buy something with the cape effect. 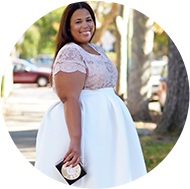 It's exciting that something relatively new to the runways is being offered in plus sizes, and Nordstrom has it. I remember a time where we wouldn't get the latest styles until 2 or 3 years later. I commend Nordy on offering us these fashion forward looks. Just know this cape is everything! I kept hitting my husband with it. I just needed him to understand that I had a cape on and I do know how to use it, but really who would be able to keep from swinging this. While out in it, I got asked over and over where it came from. 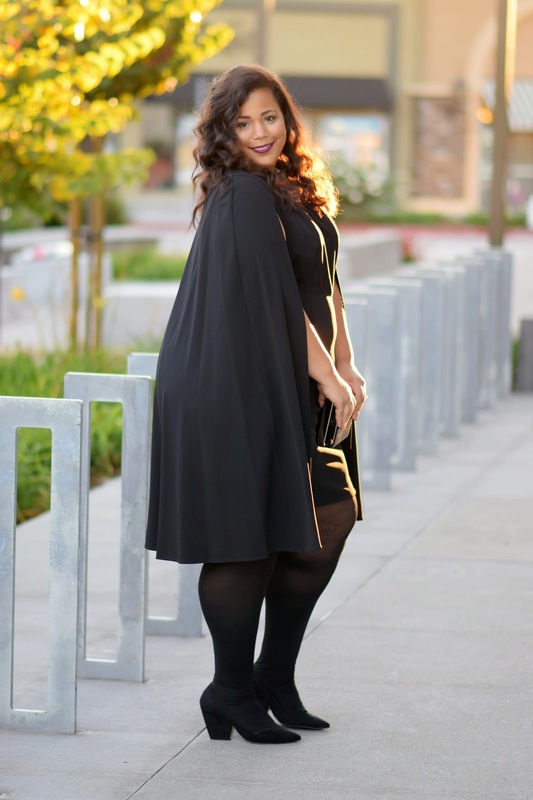 Style Notes: This cape dress is in a size 22. It does have stretch. I like the fact that the cape comes past the dress for extra coverage in the back area. Overall, it's very comfortable. If it were colder, I would definitely pair it with some long gloves. This also makes for an excellent little black dress. I really could see my mom in this, so I'm thinking this could possibly be her Christmas gift (hopefully she isn't nosily reading this post). I'll just tell her we can't wear it at the same time. HA! 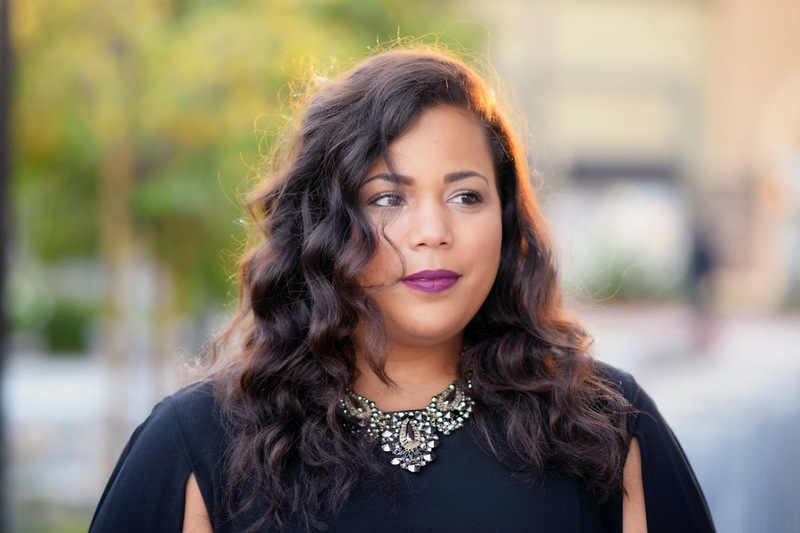 Also, some of you asked about my hair and how I've been achieving my waves. I've been using the clipless curling iron. Find it here. I'm definitely not a hair guru, but this makes it super easy. Just add a little hair spray and you are good to go for the day. It generally only takes me about 15 minutes to put these waves in already straightened hair. This post was sponsored by Nordstrom, all opinions are my own.